Looking for a luxury gift box to wrap that great watch you bought for your loved one? Or want to put another gift of yours in designer custom rigid boxes? With CPB Box, your gift box needs are sure to be satisfied. They are manufacturers of some of the most beautiful, sturdy and up-scale paper gift boxes, with custom embossing, debossing, and foil stamping services. They deliver boxes made of a custom size, thickness, material, style, and printing, just what the customer wants. Along with paper gift boxes, luxury gift box, and custom rigid boxes, CPB Box also specializes in setup and folding packaging designed to meet all the needs of the customer. Corrugated packaging, lamination, and vinyl base lids are some other gift box types that they specialize in. 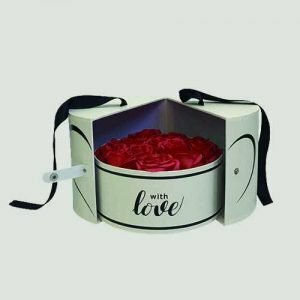 Be it flower boxes, chocolate boxes, wine packaging, jewellery boxes, paper shopping bags, magnetic closure boxes or foldable cardboard boxes, CBP Box limited has them all. Their years of experience in this industry have made them efficient enough to address a wide array of needs of different customers with complete perfection. The long list of clients is proof of their quality work. Pocket-friendly charges for luxury gift box is just impeccable. Take a glance at their collection and we will not be able to resist placing an order. They offer some of the most beautiful designs at some of the most competitive prices that you can find. So, next time you want a luxury gift box, be sure to visit CBP Box!